Leather Cell Phone Wallet Case $3.84 + FREE Shipping! You are here: Home / Great Deals / Amazon Deals / Leather Cell Phone Wallet Case $3.84 + FREE Shipping! 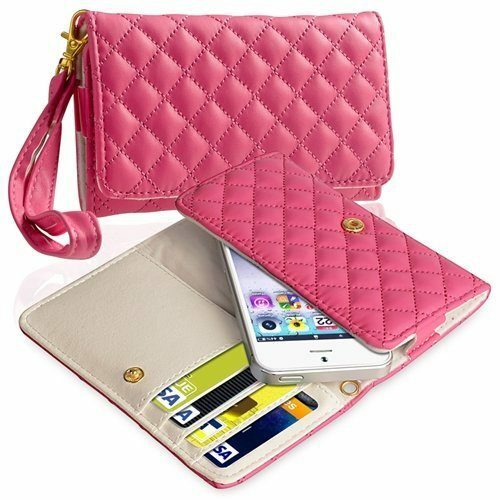 Head over to Amazon and get the Leather Cell Phone Wallet Case in Hot Pink for just $3.73! Or, choose white for $3.84 or green for $4.49. Shipping will be FREE! Stop worrying about scratching your cell phone by getting this excellent leather accessory today. This leather case features heavy duty stitching to ensure the long life of your cell phone. Material: Synthetic Leather. Color: Hot Pink. Size: 4.9 x 3.07 x 0.4 inches. Accessory ONLY, phone not included. All rights reserved. All trade names are registered trademarks of respective manufacturers listed.